St Andrews Serviced Apartments are the only serviced apartments in Katherine. There are 14 apartments available, and all apartments have full cooking and laundry facilities. The apartments are set in landscaped gardens, with undercover parking. St Andrews also has a pool and barbecue area available to guests. Located right in the heart of Katherine, St Andrews Serviced Apartments is ideally located to explore this beautiful region. The standard apartments sleep up to eight people, and offer several configurations of queen size beds, single beds, bunk beds, trundles and sofa beds. An apartment with disabled access is available. The deluxe apartments, which sleep up to four people, offer a king size bed and a queen size bed, or a queen size bed and two single beds. The apartments are set in landscaped tropical gardens, and also include undercover parking. The studio apartment sleeps up to four people, with a queen size bed, and a sofa bed contained within a separate room. Barbecue Available in pool area. Car park Off street and undercover. Cots Available Porta cots and baby bath. Laundry Washing machine, dryer and laundry tub in each apartment. Tour Desk Available at reception. Discover some of the other accommodation nearby in Katherine. 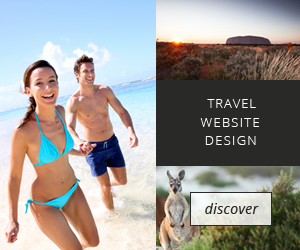 Experience some of the tours options around Katherine.